After last Saturday's resolution at the MeckGOP convention where County Republicans rejected I77 HOT Lanes, circling the wagons was bound to happen. Those wagons appeared in the form of dozens of HOT lanes supporters, consultants, NCDOT officials, and two hand & picked media outlets at a meeting today in Raleigh. For a while now, the WidenI77.org activists have been trying to meet with Speaker Tillis, and recently, a meeting was set for today at 1030am in Raleigh. Initially, the expectation was that this was going to be just a small sit-down between constituents and their representative in the Legislature. Earlier this week, information began to leak out that there may be a few additional guests. A few dozen would turn out to be more accurate. Wednesday afternoon a post popped up on Facebook outlining what appeared to be a "dirty trick" by Governmental HOT supporters on the activists of WidenI77.org. When the activists arrived, they went to the Speaker's office and then were directed to an adjacent building. Upon arriving there were about 40 people from various levels of state and local government as well as a consultant and NCDOT officials waiting for them. Then a bridge line was opened revealing another dozen or so people on the phone. The media outlets linked above somehow made the cut on knowing this event was coming as they had the conference bridge information. Several other media outlets were contacted this afternoon and evening, and to a one, they had not heard about this giant confab. So, instead of a sit-down meeting with their representative - something that should be available to any citizen - the activists of WidenI77.org were treated to a press conference of sorts where they were allowed to ask one question each among comments by literally dozens of HOT supporters. An overwhelming display of force, is that what passes as our new example of responsive government? It seems more like that scene in Star Wars where the Death Star is rolled out to blow up defenseless Alderaan. Correction: The consultancy represented at the meeting was KPMG per comment from Davidson Commissioner Rodney Graham below, not Parsons Brinckerhoff, the consultancy that has presented at other recent HOT lanes meetings. For the past few months as the WidenI77.org citizens group in North Mecklenburg questioned the effort to install HOT Lanes on I-77, the Mecklenburg County Republican Party remained noticeably silent on the subject. To a degree, that silence was understandable considering the push to install these toll lanes is being led by local Republicans in the State Legislature. 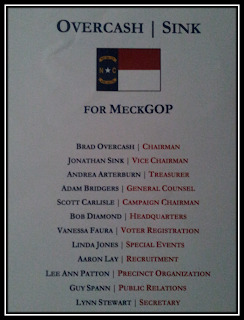 This week that changed - culminating in a dramatic scene during Saturday's annual MeckGOP County Convention. 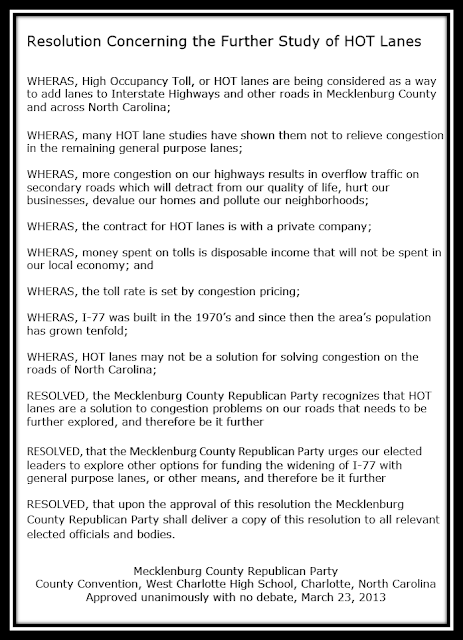 On the morning of the convention a resolution was submitted opposing the current HOT Lanes plan for I-77. After working with the Resolutions Committee, the proposed language for the resolution was edited down for brevity and content. However, the overall intent of the resolution remained in place. This was a resolution to oppose the current HOT plan for I-77. The resolution was submitted to the convention as one of only three public policy resolutions on the official agenda. The fact that this resolution "made the cut" is a statement in itself. There was at least one other resolution rejected by the committee. Seeing that the Resolution Committee is made up of party insiders, the fact that they allowed this to be one of the officially presented resolutions shows a willingness of at least some in the party hierarchy to support alternatives to the current HOT lanes proposal supported by many Republican elected officials. The HOT Lanes resolution was held until the end partly due to the expectation that it would be somewhat contentious. The edited resolution was read from the podium and then the floor was opened for debate. What happened next will be hard to ignore. There was no debate. Nobody spoke against the resolution. Nobody spoke for it. It stood on its own. Then it was time to vote. 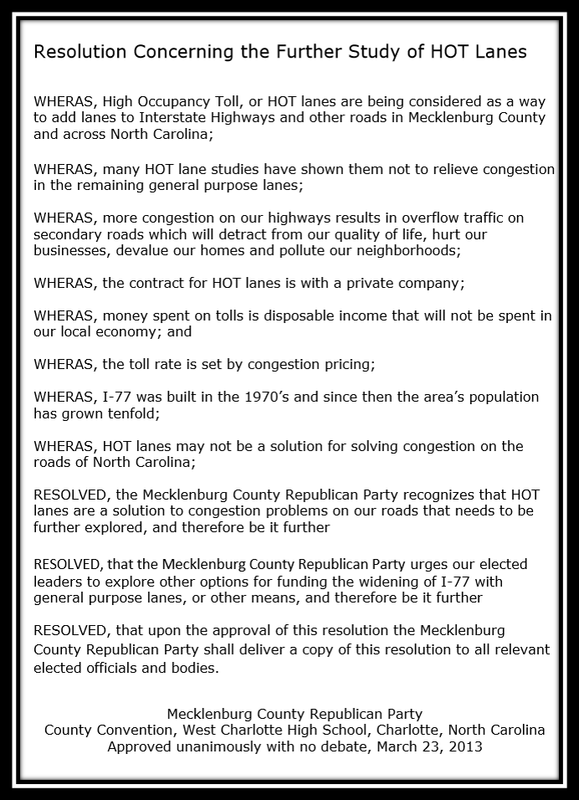 By a unanimous voice vote, the MeckGOP County Convention passed the resolution opposing the current plan for HOT Lanes on I-77 without further study. It took a huge amount of political courage to submit that resolution to the convention, but speaking truth to power always does. Saturday, that courage was unanimously rewarded. Now that Republican elected officials have unequivocal proof that the path they have chosen is unsatisfactory to the party faithful, there is only one question left. See below for a copy of the resolution received by aShortChronicle. This was transcribed from a recording made by a member of the audience as it was read from the podium. 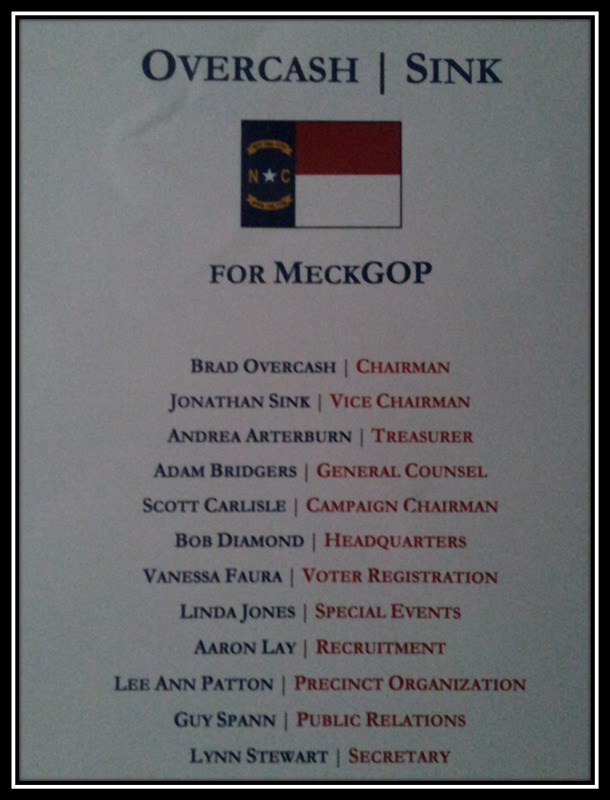 Saturday morning at the Mecklenburg Republican Party County Convention, a new slate was elected to lead the local party for the next two years. As was mentioned in this earlier post, at the February County Precinct Meeting there were originally two candidates interested in the top spot of Chairman - one from Pat McCrory's camp, the other from Robert Pittenger's. Also, on the copy of that post over at PunditHouse.com there were rumblings from activist extraordinaire Adam Love of Campaign for Liberty that there may be a candidate from the "grassroots" who could possibly challenge for the leadership spot. However, by Saturday that was no longer the case with only Brad Overcash officially throwing his name into the ring. After Mr Overcash was officially designated as the next Chairman, he made a motion to forego elections for the remaining positions and presented his selected slate for the Board. In a sign hinting at party unity there was no showdown over who would lead the party through the next election cycles. Congratulations and good luck to the new Board! Bonus Observation: As "Chairman of the Convention" Charlotte City Councilman Warren Cooksey put on a great performance as Master of Ceremonies for the day. His knowledge of the minutiae in the rules of parliamentary procedure was impressive. Transportation Secretary Anthony Foxx - Sure, why not? he's completed exactly zero major transportation infrastructure projects end-to-end. his signature transit project, the Charlotte Streetcar, is so ridiculous that it's bogged down in a board where his party has a 9-2 majority. his city's transit plan is bankrupt. he's the in-house counsel for a "green" transit company, a job he took immediately after becoming mayor. he's coordinated a committee to resurrect the bankrupt transit plan by figuring out how to raise taxes, and he's gotten Republican support for the same. he's hoodwinked a heavily Republican General Assembly into supporting HOT Lanes on 77 which benefits Democratic Charlotte with tolls paid for by voters from Republican North Mecklenburg. With skills like that, he should fit in just fine in Washington, DC. It has been a tough couple of weeks for Davidson's central planners. First, the Town was forced into removing its Adequate Public Facilities Ordinance (APFO) from the town's laundry list of development regulations. 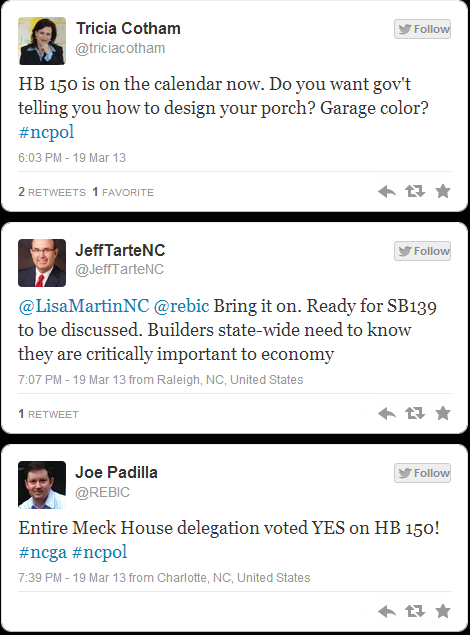 Then today, H150 passed overwhelmingly in its first real vote in the NC Legislature. Make no mistake, the Town was forced into dropping the APFO - regardless of the spin put on by Town Hall that it's removal does not signal a retreat from the town's commitment to controlling growth. Removing this ordinance was primarily caused by consistent pressure from the courts that APFOs constituted a tax that municipalities in North Carolina are not authorized to collect. 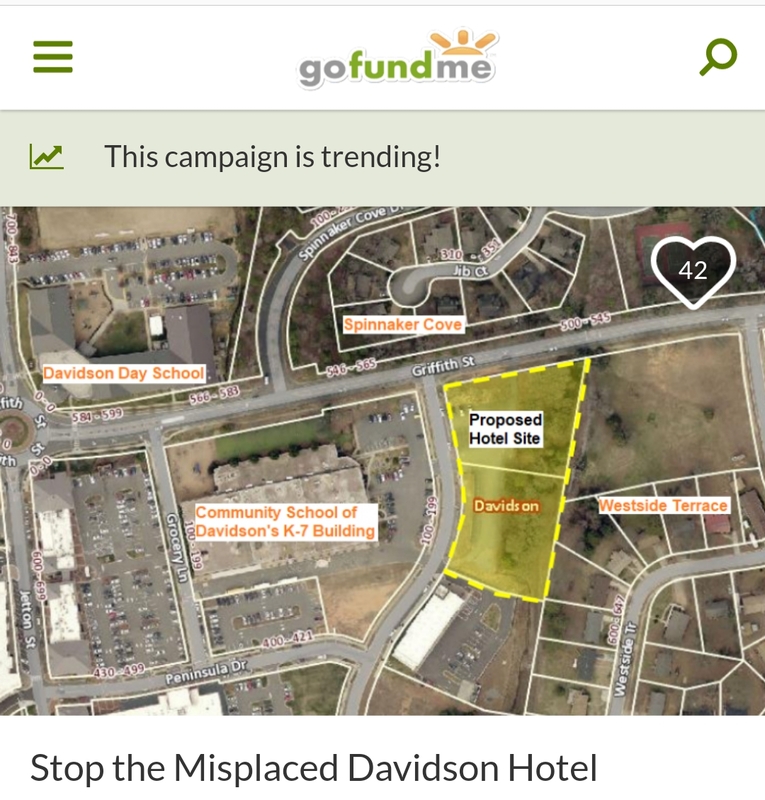 In fact, Davidson itself had already lost one lawsuit against the APFO to the Developers of the Summers Walk - settling for pennies on the dollar of what the APFO had originally demanded. In the end though, the APFO was mostly just about money. What happened today with H150 in the NC House could strike at the heart of Davidson's efforts to control how every brick is laid and every shingle is shingled in town. H150 in the House and its companion bill S139 in the Senate will place some serious limitations on the Town's ability to control design on new single-family residential development - at least that's the take by those at Davidson Town Hall. These bills are retreads of a bill that stalled in the last legislature - Bill S731. See this story from February about how this bill and Davidson's response to it were receive by it's primary sponsor Sen Dan Clodfelter (D-Meck). In what appears to be a Don Quixote-esque quest to thwart these bills, the Town pulled out all the stops in preparation for today's first vote on H150. Commissioner Graham (himself a builder) took to Facebook over the weekend encouraging people to write their legislators. On Monday, the Town actually sent a blast email to residents encouraging them to do the same. See here for a copy of the email. If you were wondering why the Town sent the email encouraging citizens to take political action towards a very specific cause, here's the answer from Town Information Officer - Christina Shaul. "Last year, when this bill was called Senate Bill 731, there was an official resolution that was passed opposing this legislation, and it was sent to all of our legislators. We hosted a meeting with the legislators to voice our opposition. This is a continuation from last year. More recently, with this new version (House Bill 150 and Senate Bill 139: Zoning/Design and Aesthetic Controls), there has been a lot of conversation between the mayors and commissioners of Huntersville, Cornelius, Mooresville and Davidson, because we are all still in opposition due to the architectural guidelines we all have in our ordinances. Mayor Jill Swain of Huntersville spoke in opposition to the bill when it was in committee, and Leamon Brice was also in Raleigh last week to represent our mayor and board of commissioners because the position of the board has not changed since the last formal resolution." However, all of the above effort went for naught when the votes were cast Tuesday. In it's second reading, H150 passed 94-22. Only one more reading and vote is necessary before this goes to conference or to the Governor's desk. ...and things are not going to get better for the town planning set when S139 comes before the Senate. Jeff Tarte's support is not limited to cheering tweets. He's also one of the bill's primary Senate sponsors. Update: The 3rd reading of the bill passed the House 94-18 on Wednesday. Now, action turns to S139. When the Davidson Board began meeting for off-cycle "special meetings" back in October, the public was told these meetings are about "team building". Great care was taken to assure those interested that the meetings were open to the public. Taken at face value and based on the repeated assurances that these "special meetings" are all about team building rather than actually conducting Town business, no published agendas seemed necessary and no detailed minutes were necessarily warranted. As long as conversation is about "getting to know you" topics why would they be needed? Starting with an announcement on DavidsonNews.net on Sunday and followed up by this email early Monday, the purpose of these meetings appears to have turned towards more serious business - the 2014 budget, the tax base, and "priorities". A series of email inquiries to Town Staff and elected officials failed to adequately clear up the matter. Some said there was surprise at the "agenda". Others, implied it was an agenda and a continuation of discussions that had been going on at recent "regular" meetings. What was clear from some of the emails received Monday at aShortChronicle is that the public was not clear at all on what this meeting was intended to be. Was this a meeting worth attending if you want to know about the budget? Was this a real intended "agenda" for what are typically free-form agendaless meetings? If so, would the discussion (if not any votes) be documented in minutes that were meaningful and would the meeting itself be covered by the media? What is even more clear is that if these "team building" meetings are to become more like work sessions they should no longer ever be conducted in private residences. At a minimum they should be conducted like normal work session meetings. Running a government isn't a social club. It's doing the people's business. That should always be done in an open and transparent manner with as little confusion as possible. As a testament to both the generosity of local residents and the value of the project to the community, I am proud to report that the Davidson Community Garden blew away its fundraising goal - bringing in just shy of $4000. Donations are still trickling in with a more exact total available in April. However, with the original goal being $3000, the project has already eclipsed this mark by nearly 25%. 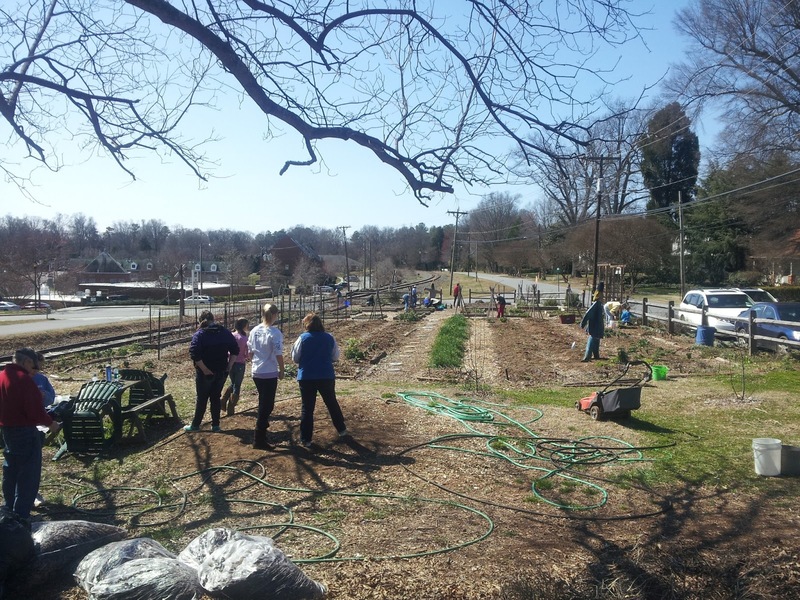 This allows the project to begin installation of its own water system with work to begin as soon as this coming week - just in time for the planting season! The tentative plan is to have 2 - 3 spigots in place which will allow for much easier watering and less dragging of heavy hoses. 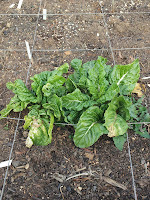 This will allow children to help out more easily as well as support the installation of some drip irrigation and soaker hoses throughout the rows and box beds. 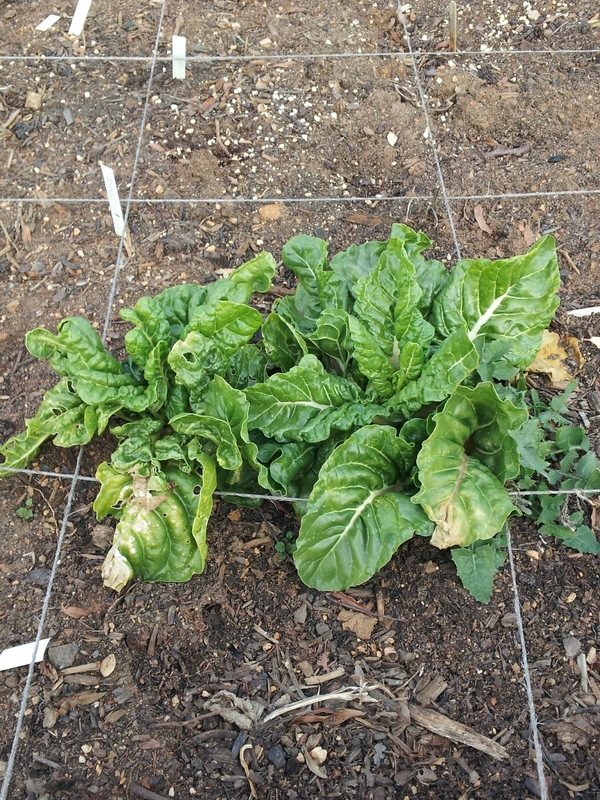 Having a consistent water supply will also improve production. So, how did the project get to $4000 in just three short months of quiet fundraising? Here's the breakdown. To start, all donations came from private sources including two large gifts. The first was a $1000 anonymous gift intended as a matching grant. A second donation of several hundred dollars came from Cub Scouts Pack 58. 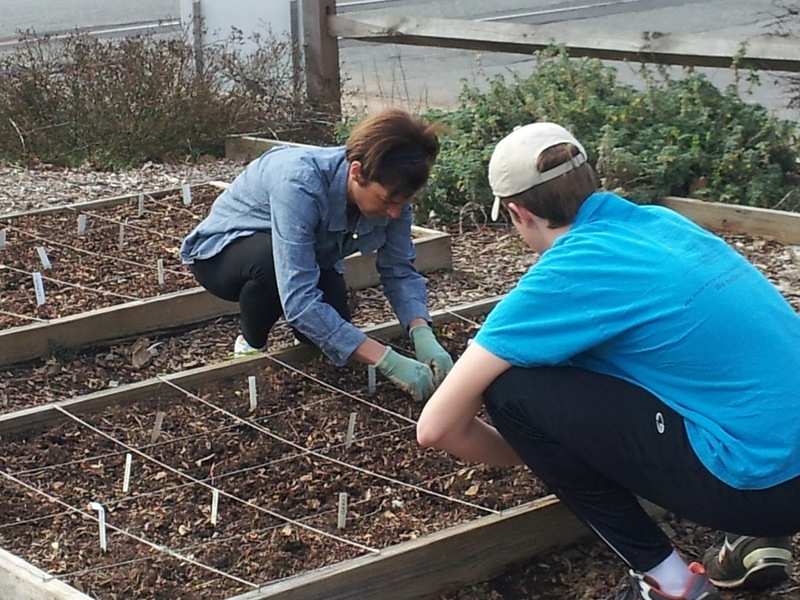 The Scouts are regular volunteers at the garden as well - donating time and energy in addition to making this very generous financial gift. Together, these two donations accounted for a little less than half of the total. The majority came from numerous smaller amounts donated from people all across town - ranging from a few dollars to over $100. This was a true community effort. Special, thanks go out to Mike Kessler with Davidson College and Michael Whaley and Glenn Kinken with DUMC for their support with the logistics of making this happen. 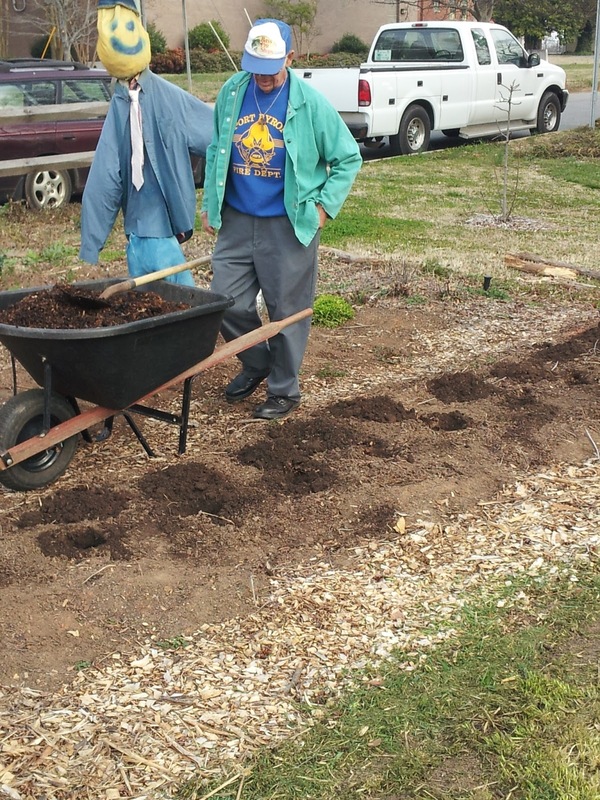 The garden is on land owned by the College with financial and organizational support coming from DUMC. Without the support of these two organizations, the garden would not be where it is today - both literally and figuratively. As the Davidson Community Garden enters its fourth growing season, the future could not be brighter! McCrory's Cortez Moment: Is it the fiction or the fact? When Governor Pat McCrory signed bills H4 and S4, respectively limiting Unemployment Insurance and Medicaid Expansion, one could see the combination as his "Cortez Moment" - as in "there's no turning back now." The signing of these two bills in many ways forces McCrory to deliver on the promises of job growth and economic prosperity he made on the campaign trail. If the economy does well, there is much less need for both unemployment insurance and Medicaid. If he delivers, there's not much political downside from the middle of the road voters who decide our elections. He will have thrown a meaty bone to the conservatives who support him and will have marginalized the progressives who will never support him no matter what he does. However, there are two versions of the Cortez story - one fiction, one fact. "As legend has it, after his men got ashore, Cortés burned the ships that brought them. He wanted his men to understand fully that their only option was to win or die – there would be no retreat. Knowing their options were limited now, the Spanish army would fight harder and with more determination. Interestingly, though, the message Cortés sent was not just intended for his army. After word of what happened on the beach spread, the Aztecs knew that the Spanish were literally fighting for their lives at every juncture. This meant that the Aztecs would be unable to force the Spanish to retreat because there was nowhere for the invaders to go. On the other hand, with an entire empire behind them, the Aztec forces would always be aware of their own option to retreat. In the face of the Spanish commitment to total victory, the Aztecs would themselves be more inclined to retreat and less inclined to fight hard to hold ground. Fact: Cortes didn't burn his boats. Technically, he didn't even scuttle them. He did order the captains of nine ships to run their vessels onto the sand. But that left him with three other vessels -- and a master shipbuilder among the crew. Fact: Cortes wasn't "motivating" his men -- he was protecting his backside. According to Hugh Thomas's "The Conquest of Mexico," Cortes grounded the ships to win at palace politics in Spain. Cortes's Mexican mission revolved around his intense rivalry with Diego Velazquez, the governor of Cuba. When Cortes obtained his first boatload of treasure, he dispatched it to the king with three letters pleading his case for more power. Among Cortes's own men were some of Velazquez's supporters who disapproved of Cortes's actions. They plotted to steal one of his ships to take a message of warning to Velazquez, who would then have time to overtake the treasure ship and seize the letters. Last week's Met Life jobs announcement, bought with nearly $100 million in State and local incentives, plays into both narratives. "The largest jobs announcement in State history" headlines supports the first while the use of corporate welfare - not to mention the Governor's former employer helping to cement the deal - requires accessing some of the political "cover" referenced in the second. Interestingly, that political cover may not be working so well with many on the right - including the award winning Daily Haymaker blog and the blog of the conservative Civitas Institute. 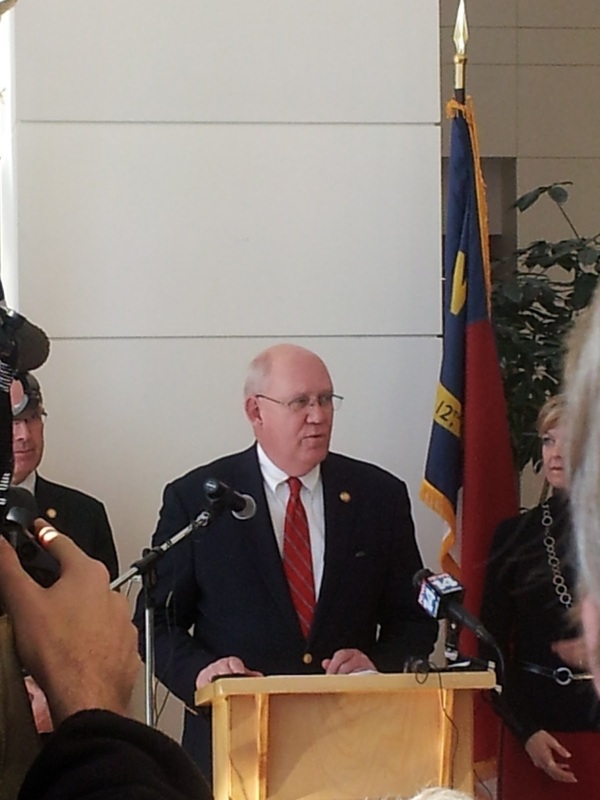 Mecklenburg's Bill Brawley Signs onto H267. First thing Monday morning, Rep Bill Brawley of Matthews signed on as a sponsor of H276 filed last Thursday in the NC House. While there are unconfirmed rumblings that this bill might not impact the I-77 HOT Lanes project, the fact that Rep Brawley is now a sponsor is definitely interesting. Here's Bill Brawley at the January 14th WidenI77.org meeting in Cornelius describing his roll in helping push through the bill authorizing the P3 concept for the project. His comments start at minute 15:00 of this clip. In January, on the eve of starting his new role as Chair of the House Transportation Committee, Rep Brawley seems to be a fairly ardent supporter of the I-77 HOT Lanes project while still seeming to understand the concerns of those in the room. Two months later, he signs on as a sponsor of a transportation bill which could derail that project (rumblings to the contrary notwithstanding). When the Chair of a committee sponsors a bill directly in the purview of that committee, it has a good shot at passing. H267 now sits in the House Transportation Committee. Update 3/12: The rumblings continue out of Raleigh that this bill will not impact any decision on I77. If that is the case it certainly is intentional as this bill certainly could be structured to do so. Update2 3/13: And the other shoe drops...Mr Brawley appears to actually have signed onto the bill to ensure that it does not interfere with the toll plans, not the other way around See here. Having spoken to a few people who attended this meeting, the media reports don’t do justice to the outrage expressed by most of the non-governmental attendees. Starting with the setup of the room itself, the LNTC meeting was intended to marginalize the public. The public was segregated from the staff and elected officials. Also, minimal questions were allowed from the audience with one questioner being cutoff by the moderator and only being allowed to finish after chants of “let him finish” were launched from the crowd. It was apparently a very, very stage managed affair. A sure sign of a bad idea is when it can’t even stand up to a little questioning or debate, and this appears to be one of those cases. For those of us in Davidson and Mooresville who had Mi-Connection rammed through with little debate and to disastrous effect, this HOT issue seems eerily similar. Following on the heals of the NC Senate bill to stop any potential toll plans on I-95, the NC House filed a bill on Thursday that could stop actual plans for tolls on any interstate highway. Bi-partisan H267 filed by two Republicans and two Democrats would require an NCGA vote of approval before implementing tolls on any "existing" road. Questions are out to the Bill's sponsors as to whether this bill would impact the decision to toll I-77 via High Occupancy Toll (HOT) lanes. A simple straight forward reading of the bill, would indicated that it should since the existing HOV lanes will be converted to HOT as part of the project. However, since the I-77 HOT project is a combination of HOV conversion and new construction, that opens the door for interpretation. If those who support the HOT project are willing to engage in Bill Clintonesque splitting of linguistic hairs, they could try to say the HOT facility is new and not existing. The inclusion and exact meaning of the word "existing" in this bill is important. A second important point with this bill is the last statement which is common to most bills in the Legislature..."This act is effective when it becomes law." When it comes to giant government construction efforts, the I-77 HOT Lanes project is on the fast track. The plan is to select a concessionaire and get the contract underway this year. If H267 is not equally fast tracked, it will not become law before a contract may be signed - making it irrelevant to such a contract. If those who support the HOT project are willing to play the standard political game of "run out the clock", they will stall this bill just long enough to not impact this project. To be very clear, if the Legislature was able to pass complex and controversial bills on Medicaid expansion and unemployment insurance in a matter of weeks, they could most certainly pass a simple bill that requires a vote on a simple subject such as tolls. Not doing so will be very, very intentional. Keep an eye on this one. It will be interesting to see where it goes. Update: Looks like the Legislators are going the route of splitting those very fine political hairs. See here. NC Senate Files to Stop Tolls on I-95...I-77? On Wednesday, S218 was filed in the State Senate by to explicitly prohibit tolls on I-95. One would have to expect a warm welcome for this bill if it makes it to the House. See this video of Speaker Tillis commenting back in June 2012 on his opposition to tolling our Interstates.. If passed it would protect citizens from a "money grab" to use Speaker Tillis's own words. Tolling I-77 via HOT lanes would seem to be consistent with that "money grab" scenario. Hopefully, if that eventually comes before the legislature as indicated in this Fox Charlotte segment, it would receive the same jaundiced reception from Speaker Tillis. I give our local pols a fair amount of grief, but never let it be said I don't recognize when they get it right. 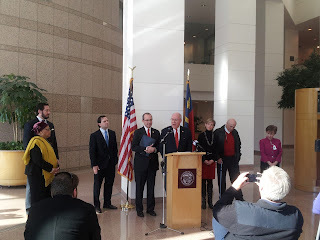 This morning at the CharMeck government center in Uptown Charlotte, State and County elected officials held a press conference where they unveiled for the media companion bills introduced today at the NC General Assembly - H200 and S159 - Require Certain General Reappraisals. These bills are intended to repair the botched 2010 Mecklenburg County revaluation. However, as tax bills their impacts if/when passed could affect up to 70 counties across the state. Getting a revenue impacting bill to this point with such wide possible consequences is no small feat. Also, the bi-partisan nature of this bill is critical. Much has been said in the media about the inflated valuations in North and South Mecklenburg - heavily Republican areas. Less has been said about some areas of the county where there were also widespread artificially low valuations - some of those are in heavily Democratic precincts. 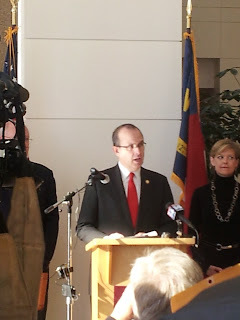 In light of those facts, while the press conference was led by the dynamic duo of Senator Jeff Tarte and Representative Bill Brawley, both Republicans, much praise was given to the leadership of Meck BOCC chair Pat Cotham and several other Democrats were mentioned favorably for their contributions and support. All involved deserve praise and recognition for doing what is right to correct what was done so, so wrong. But maybe my favorite moment of the short press conference came near the beginning. Senator Tarte opened his remarks by recognizing the citizen activists who drove this issue from the start. 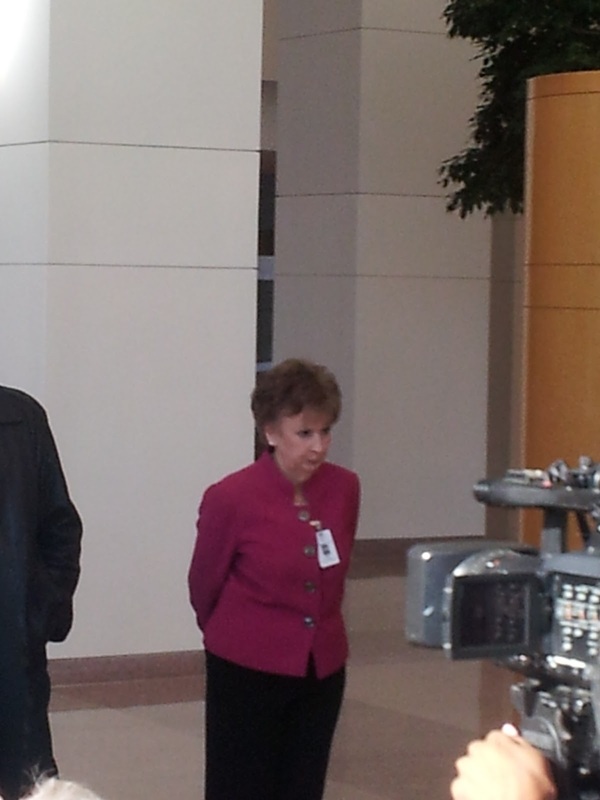 People like Bob Deaton of Cornelius (standing between Karen Bentley and Pat Cotham in the top picture). Senator Tarte was almost effusive in his praise of the work done by those activists - including former Cornelius board member Jim Bensman. It was really nice to see that recognition. The reality is that with all the heavy lifting that the politicians now appear ready and willing to do, this issue would not have been addressed if it was not for those activists. If they had not stood up and continued to push for what is right, the press conference that occurred today would not have happened. Maybe more than any event I've ever seen, this one epitomized good, bi-partisan government driven by active citizens to solve real problems. I wish we could see it more often. With the news that the Venzon family of River Run will be moving out of the area, Davidson has big shoes to fill - not just one pair, but two. Losing John Venzon as Chairman of the Mi-Connection Board of Directors and Laurie Venzon on the Davidson Town Board removes the two people who have done more than any others to stabilize Davidson's financial situation and repair the damage done by the creation of the locally owned cable company. It is hard to overstate the potential impact of this dual loss. While neither of them has given an exact date for their departures from their respective boards, those dates are surely coming. Davidson needs to prepare. On the Mi-Connection side of the equation, John Venzon's eventual departure as Chairman of the Board removes a significant amount of big business experience from an organization competing in on of the biggest and most cutthroat of big business industries. It comes at a time where Mi-Connection appears to be turning the corner or at least no longer sliding backwards. His leadership directly helped push through the interlocal agreement renegotiation which encourages Mooresville to more aggressively promote the company, and he deserves credit for bringing in more experienced executives to run the company's day-to-day operations. It's safe to say that without John Venzon's leadership, Mi-Connection would be in a much worse situation than it is today. If you ever attended a Mi-Connection Board meeting you would immediately recognize that the questions John Venzon asks helped guide the company in the right direction. You would also recognize in years past that the answers received were often not complete or were along the lines of "we'll get back to you". The changes implemented in the past year should remedy that, and John deserves the credit for making it happen. A similar loss will be felt by the Town of Davidson. In recent years Laurie Venzon worked diligently with Town staff to transform the Town budgeting process into something more transparent and organized - making it possible to compare year to year numbers. Whenever asked she provides citizens clarifications and detailed explanations around where the money comes from and where it goes. If you are interested in "numbers" Laurie is the person to speak with on the Board. She played a leading role in last year's renegotiation of the interlocal agreement with Mooresville on Mi-Connection - greatly improving Davidson's cash-flow situation. She is often the lone voice on the Board expressing the financially conservative position on any given subject. In fact, as recently as this past Tuesday she played that role. During the budget discussion at the Tuesday work session, the idea was floated that Davidson might consider issuing some bonds to speed along some additional spending projects. Commissioner Venzon immediately spoke up that the State's Local Government Commission (LGC) would likely frown on that - in light of the Town's debt burden due to Mi-Connection. Commissioner Venzon understands that tax dollars are your dollars. 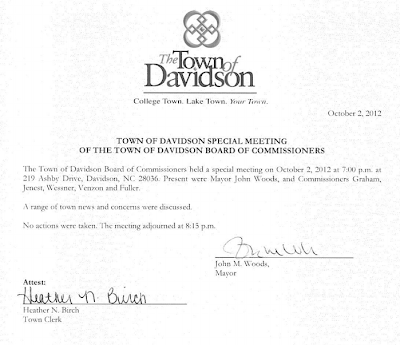 Losing that "voice of reason" on the Davidson Board will have an impact. So how should Davidson proceed? Regardless of who is selected, whether the person comes from Davidson, Mooresville or from somewhere else, the replacement needs to be committed to the goal of getting Mi-Connection to the point where it can be sold. John Venzon stated this goal very clearly last year. "This is our singular focus," Venzon says. "To grow the system and prepare for an exit that protects the towns and the citizens." A change in leadership here should not result in a change in direction. The need to replace a member of the Town Board makes last year's decision to abandon efforts to create 4-year terms seem almost prescient. If the Town had moved to 4-year terms, it is highly likely that Laurie Venzon would have been one of the two Board members receiving those longer terms. Since joining the Board she has always been one of the top two vote getters. In a way, her leaving the Board validates that decision and proves the point that longer terms does not ensure less turnover. See here for the General Statute governing the subject of vacancies on municipal governing boards. The Town Board could appoint a successor. However, just like during the 4-year terms debate, just because the Board can do something unilaterally, does not mean they should do something unilaterally. With filing for the 2013 elections taking place in July, the appropriate decision is to leave the seat unfilled until this year's vote. The voters should be allowed to decide without the existing Board handing someone de facto incumbency by appointing a replacement mere months before the scheduled election. Doing otherwise could and should be seen by voters as an effort by the Town to stack the deck in favor of one candidate over any potential others. It would discourage qualified individuals from filing if they believed the "fix is in" prior to the campaign season even starting. As the next few months unfold, there will be much discussion on how these two vacancies will affect the town. Who the replacements are and how they are chosen will set the tone for Davidson's immediate future. Let's hope our leaders choose wisely.